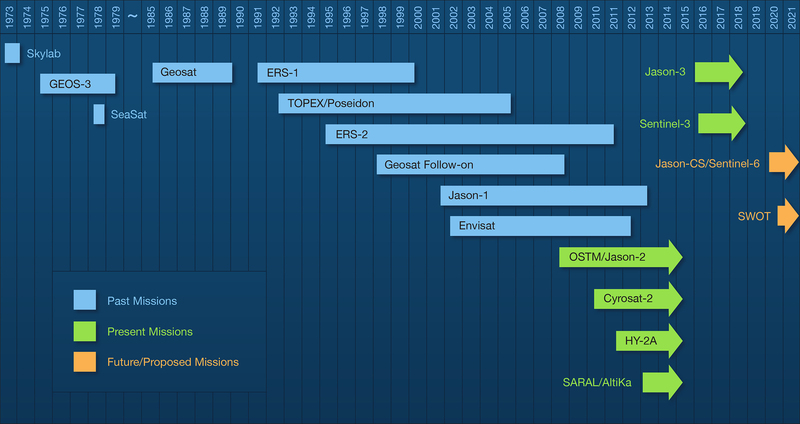 Missions – This contains a chronological listing of past, present and future satellite altimetric missions. Data Centers – Provides information on mission mandated and non-mandated data centers that archive and distribute data. Data Access – How to access data from PO.DAAC and NODC and a listing of datasets available from each center. Coastal Altimetry – Descriptions of the various projects that provide coastal altimetric data. Hydrological Altimetry – Descriptions of the various projects that provide hydrological altimetric data. Climatolgical Altimetry – Descriptions of the various projects that provide climate data records and climatologies. Globally Averaged Sea Level Change – A brief description of what it is and the different projects that calculate it. SAR – Missions and data that measure sea surface height using Synthetic Aperture Radar (SAR) as the altimeter. Waves – Where to obtain wave data or wave models that are not provided in the altimetric datasets. 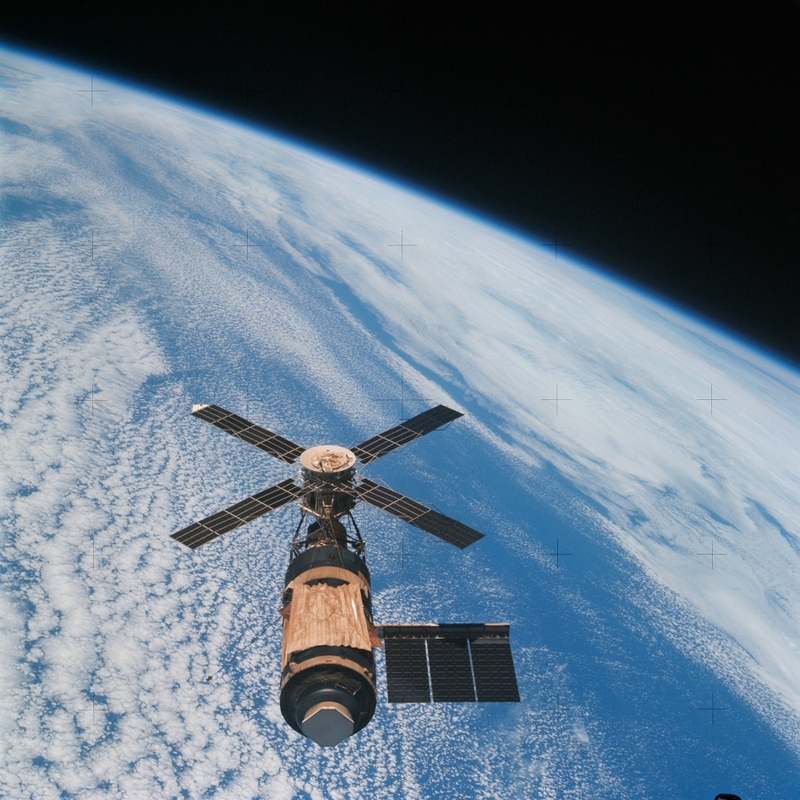 Skylab (May 1973 – February 1974) – Skylab was the first spaceborne altimetric experiment to measure the geoid with 90 cm accuracy. It clearly measured the Puerto Rico Trench and islands, proving altimeters in space work. GEOS-3 (April 1975 - July 1979) – Geodynamics and Earth Ocean Satellite 3 (GEOS-3) was part of a geodetic mission series lead by NASA. It launched on 9 April 1975 and continued operating until July 1979. 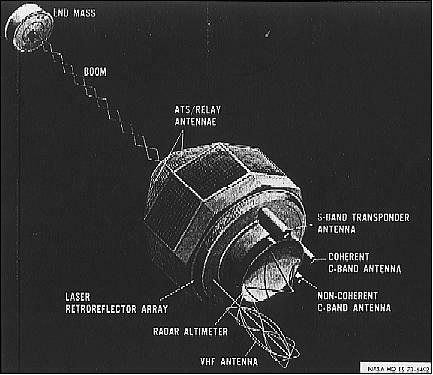 The spacecraft carried a radar altimeter for mapping of the oceans, as well as a laser retroflector, and other tracking beacons. The GEOS-3 mission was to measure the gravitational field around the Earth, specifically to identify the irregularities and anomalies. It was also able to measure ocean signals with 40 cm error. During the development of the prelaunch TOPEX gravity models, GEOS-3 was considered to be an important satellite, since it was located near the mirror inclination of TOPEX/POSEIDON (66.6 deg). 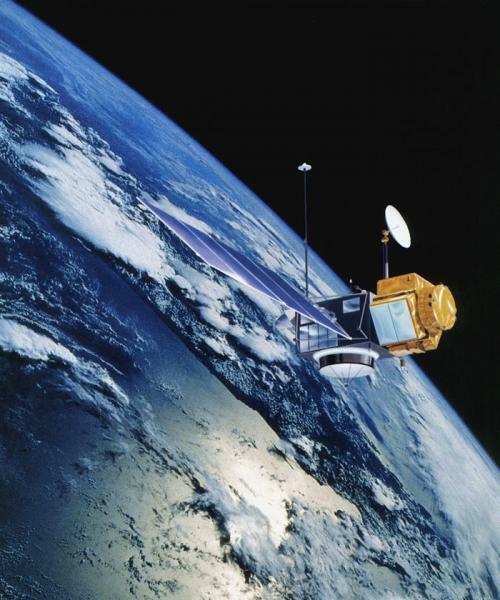 Seasat (July - October 1978) – NASA’s, Seasat, was the first satellite mission dedicated to measuring the oceans. It carried a synthetic aperture radar (SAR), radar altimeter (ALT), Seasat-A satellite scatterometer (SASS), scanning multichannel microwave radiometer (SMMR), and a visible/infrared radiometer (VIRR). It was the predecessor to many ocean observing satellites. It measured sea surface height with 10 cm accuracy, after various orbit and model corrections were applied. Unfortunately Seasat suffered a power relay failure and stopped functioning after 105 days of operation. Geosat (October 1985 - January 1990) - The US Geodetic Satellite (Geosat) was a pioneering research mission of the US Navy dedicated to radar altimetry. The primary mission was the then classified Geodetic Mission (GM), with a duration of 18 months (until September 1986), dedicated to measuring the marine geoid at high resolution. The second mission phase is known as the "Exact Repeat Mission" (ERM), which was unclassified from the start; it started 1 October 1986 and ended in January 1990 (partly due to failures of both on-board tape recorders). The ERM provided more than three years of precise altimeter data, which became available to the scientific community. ERS-1 (July 1991 - March 2000) – European Remote-Sensing Satellite-1 (ERS-1) was the European Space Agency’s (ESA) first sun synchronous polar-orbiting satellite mission. It launched July 1991 and operated until March 2000. 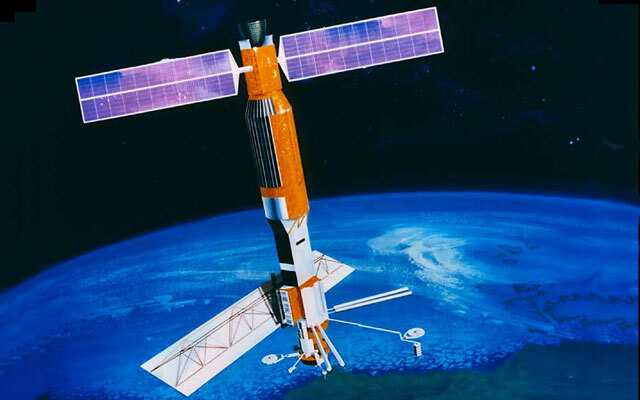 ERS-1 contained a SAR, scatterometer, altimeter, and Along Track Scanning Radar (ATSR). It could measure wind, sea surface height and sea surface temperature. 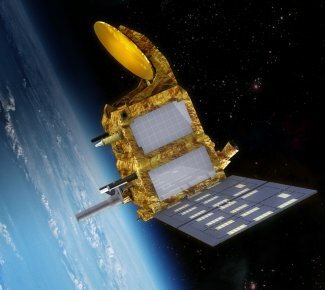 TOPEX/Poseidon (September 1992 - October 2005) - TOPEX/Poseidon (T/P) was the first altimetric mission jointly collaborated by NASA and CNES (Centre National d’Etudes Spatiales, the French space agency). It launched 10 August 1992 and began data collection at 25 September 1992. T/P operated until 18 October 2005 and collected 481 cycles of data. T/P was capable of measuring significant wave height, sigma0, atmospheric water vapor, ionospheric electron density, and the satellite’s position by a combination of laser tracking, Doris Doppler tracking, and GPS, all needed to calculate sea surface height and anomalies and total electron content with high accuracy. 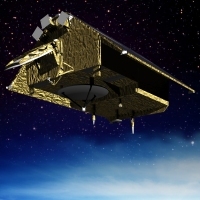 ERS-2 (April 1995 - July 2011) – European Remote-Sensing Satellite-2 (ERS-2) is very similar to ERS-1, but could also measure atmospheric chemistry. ERS-2 had the same mission and instruments as ERS-1. It launched April 1995 and was in a tandem mission with ERS-1 for its first year of operation. ERS-2 was decommissioned in July 2011. Geosat Follow-On (February 1998 - October 2008) - The Navy's Geosat Follow-On (GFO) satellite was launched on 10 February 1998 with the aim of continuing ocean observations started by the highly successful Geosat mission. Data measurements from this satellite provides scientists with better understanding of ocean circulation, ice sheet topography, and climate change. GFO officially ended on 22 October 2008. 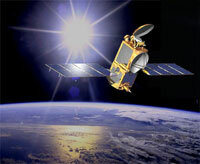 Jason-1 (December 2001 - June 2013) - Jason-1 is a follow-on altimetric mission to the very successful TOPEX/Poseidon. It is a joint mission between NASA and CNES. It launched 7 December 2001 and began data collection at 15 January 2002. Jason-1 measured the same parameters as TOPEX-Poseidon. Jason-1 was decommissioned on June 2013. Envisat (March 2002 - April 2012) - Envisat was ESA's successor to ERS-1 & 2. It launched in 2002 with 10 instruments aboard. More advanced imaging radar, radar altimeter and temperature-measuring radiometer instruments extend the ERS datasets. This was capable through new instruments, including a medium-resolution spectrometer sensitive to both land features and ocean color. 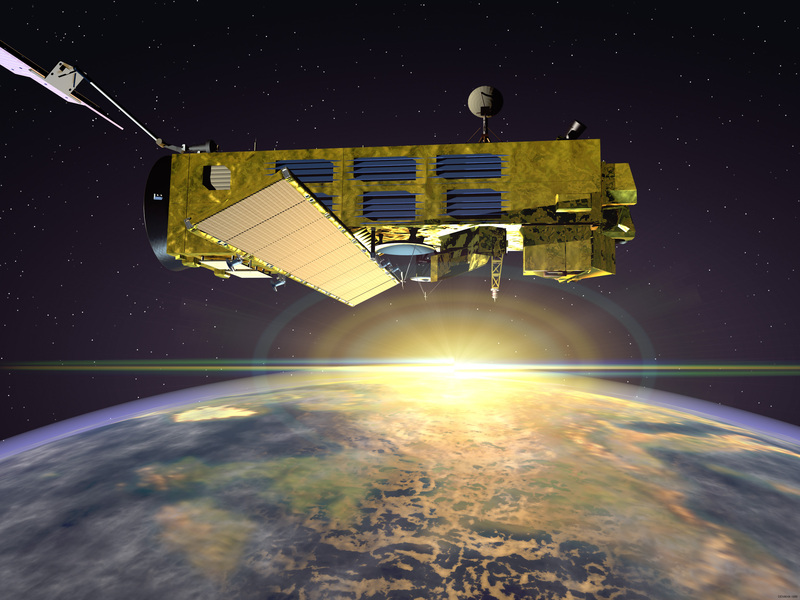 Envisat also carried two atmospheric sensors monitoring trace gases. The Envisat mission ended on 8 April 2012. OSTM/Jason-2 (June 2008 - present) - Ocean Surface Topography Mission (OSTM)/JASON-2 continues the TOPEX/Poseidon and Jason-1 series of high accuracy measurements for ocean science and to provide operational products for assimilation and forecasting applications. 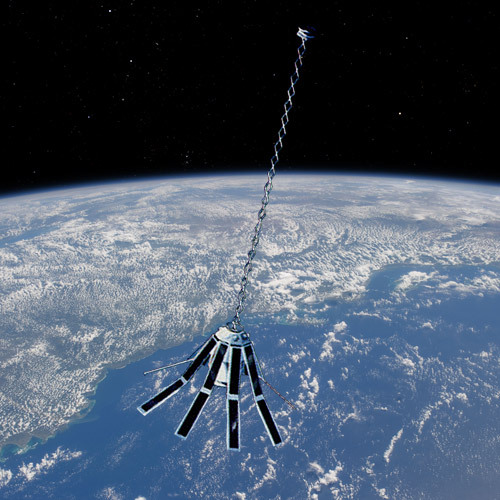 The Jason-2 satellite was launched on 20 June 2008 and reached its nominal repetitive orbit on 4 July 2008. The four mission participants are NOAA, NASA, CNES and EUMETSAT. 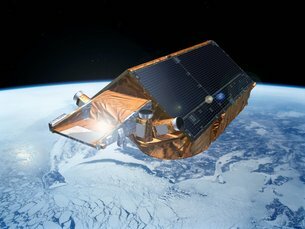 Cryosat-2 (April 2010 – present) - CryoSat is Europe's first mission to monitor variations in the extent and thickness of polar ice through use of a satellite in low Earth orbit. The information provided about the behavior of coastal glaciers that drain thinning ice sheets will be key to better predictions of future sea level rise. CryoSat is operated from the European Space Operations Centre (ESOC). The CryoSat-1 spacecraft was lost in a launch failure in 2005, however CryoSat-2 was successfully launched on 8 April 2010. CryoSat-2 is in a highly inclined polar orbit, reaching latitudes of 88° north and south, to maximize its coverage of the poles. Its main payload is an instrument called Synthetic Aperture Interferometric Radar Altimeter (SIRAL). In addition to its primary mission of observing the cryosphere, Cryosat-2 provides very useful data over the global oceans. 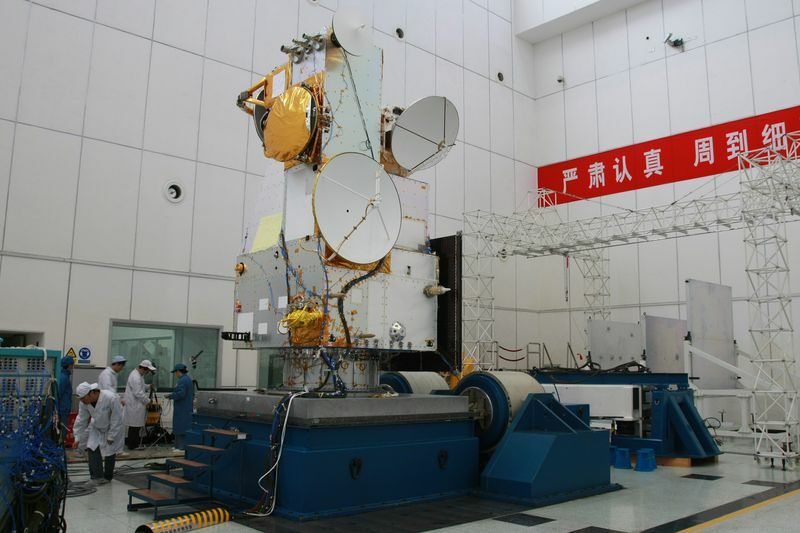 HY-2A (2011 - present) - HY-2 is a marine remote sensing satellite series planned by China (from HY-2 A to D) with a focus on the marine dynamic environment. HY-2 will monitor the dynamic ocean environment with microwave sensors to detect sea surface wind field, sea surface height and sea surface temperature. It includes an altimeter dual-frequency in Ku and C-bands, Doris, a scatterometer and a microwave imager. HY-2A is launched on 16 August 2011. SARAL/AltiKa (February 2013 – present) - SARAL is a satellite developed and built by the Indian space agency (ISRO). AltiKa is a Ka-band altimeter built by the French space agency (CNES) and operates onboard SARAL. Previous altimetric missions have been Ku or C-band. Ka-band provides better resolution for coastal areas, and is nearly insensitive to ionospheric path delays (obviating the need for a second frequency). It has the same orbit and ground track as ERS and Envisat. 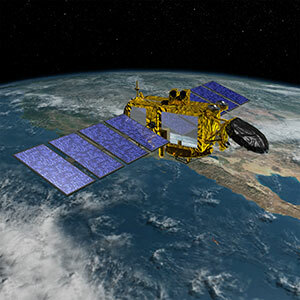 Jason-3 (January 2016 - present) - Jason-3 is the fourth mission in U.S.-European series of satellite missions that measure the height of the ocean surface. Scheduled to launch in 2015, the mission will extend the time series of ocean surface topography measurements begun by the TOPEX/Poseidon satellite mission in 1992 and continuing through the currently operating Jason-1 and OSTM/Jason-2 missions. These measurements provide scientists with critical information about circulation patterns in the ocean and about both global and regional changes in sea level and the climate implications of a warming world. The four mission participants are NOAA, NASA, CNES and EUMETSAT. Sentinel 3 (February 2016 - present) - Sentinel 3 is an Earth Observation satellite mission developed by the European Space Agency (ESA) as part of Copernicus which is an ambitious Earth observation program headed by the European Commission (EC) in partnership with the ESA. The Sentinel-3 mission's main objective is to measure sea-surface topography, sea- and land-surface temperature and ocean- and land-surface color with high-end accuracy and reliability in support of ocean forecasting systems, and for environmental and climate monitoring. Jason-CS/sentinel 6 (expected 2020) - The Sentinel-6 mission, to be implemented by two consecutive Jason-CS radar altimeter satellites, will follow in the tradition of previous Jason missions (Jason-1,-2, and-3) as a joint US (NOAA, NASA), European (EUMETSAT, ESA) program. 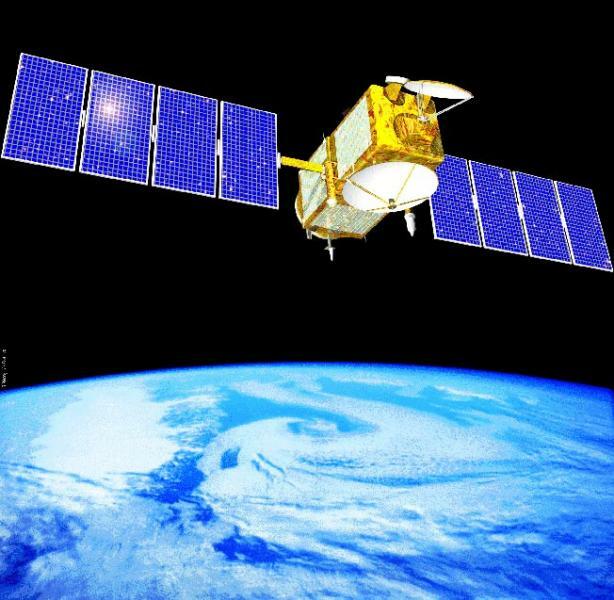 The Jason-CS satellites will provide continuity of the reference ocean surface topography time series used to determine ocean circulation and sea level rise. This information will be used in operational applications including El Niño and hurricane forecasting, safe navigation, and offshore operations. Jason-CS-A is scheduled to launch in 2020, to allow an overlap with the Jason-3 mission and Jason-CS-B in 2026, to allow an overlap with Jason-CS-A. A secondary objective will be to collect radio occultation (RO) data for the calculation of atmospheric temperature and moisture profiles. SWOT (expected 2021) - The Surface Water Ocean Topography (SWOT) mission brings together oceanography and hydrology to focus on a better understanding of the world's oceans and its terrestrial surface waters. U.S. and French oceanographers and hydrologists have joined forces to develop this new space mission to make the first global survey of Earth's surface water, observe the fine details of the ocean's surface topography and measure how water bodies change over time. The Physical Oceanography Distributed Active Archive Center (PO.DAAC) is NASA’s data center responsible for data management and distribution of satellite oceanographic data, as well as providing support for its scientific user base. Its holdings consist of ocean surface topography, sea surface temperature, salinity, winds, ocean circulation, and gravity. PO.DAAC’s holdings for ocean surface topography consist of Seasat, GEOS-3, TOPEX/Poseidon and Jason-1, along with PI provided datasets for OSTM/Jason-2 and SARAL/AltiKa. For information on how to obtain data from PO.DAAC please visit the data access section. The National Centers for Environmental Information (NCEI) is one of the national environmental data centers in NOAA. Its mission is to provide scientific stewardship of marine data and information. NCEI provides near real-time and delayed-mode product distribution, archive services, and long-term data stewardship for the OSTM /Jason-2 and future Jason-3, and historical Geosat and GFO products. The archive strategy developed by NCEI for archiving OSTM/Jason-2 and Jason-3 involves using NOAA Comprehensive Large Array-data Stewardship System (CLASS) to provide the information technology infrastructure to support ingestion, archival storage, and basic access to the Jason-2/3 data. AVISO is the data archive for altimetric missions and related datasets for the French space agency, CNES. AVISO holds data for the altimetric missions ERS-1, TOPEX/Poseidon, ERS-2, Envisat, Jason-1, OSTM/Jason-2 and SARAL/AltiKa. Their uniform space-time gridded sea level anomaly datasets combining data from several satellites are widely used. EUMETSAT is the European Union meteorological satellite agency. Its focus is on operational satellites that can provide data for weather, climate and environmental studies/applications. It houses near real time data from OSTM/Jason-2. The Radar Altimeter Database System (RADS) provides along-track altimeter data with the most up-to-date corrections, in text file format, with user-selected correction algorithms, as well as software to handle the database and extract data at a user's computer. RADS is an independent data distributor. Most altimetric datasets are designed for the deep oceans because land contaminates the return signal of the altimeter and radiometer. To resolve these issues several projects have developed various algorithms tuned to coastal or inland waters that retrack and/or provide improved corrections. These projects provide their results as experimental datasets. Adaptive Leading Edge Subwaveform (ALES) applies a waveform retracker to the high frequency altimetric data to help get rid of land contamination in measurements near the coast. It includes data for both the coast and open ocean in one dataset. It will reprocess OSTM/Jason-2, Envisat, Jason-1 and AltiKa. CTOH (Center for Topographic studies on the Ocean and Hydrosphere) has a coastal altimetric dataset that is regionally corrected through the use of X-TRACK (http://ctoh.legos.obs-mip.fr/products/coastal-products). X-TRACK is applied to TOPEX/Poseidon, Geosat Follow On, Jason-1, Envisat and OSTM/Jason-2. CTOH also contains time series for various rivers, lakes and wetlands water heights based from TOPEX/Poseidon, ERS-1&2, Geosat Follow On, Jason-1 and Envisat. PEACHI (Prototype for Expertise on AltiKa for Coastal, Hydrology and Ice) is a project that generates coastal and hydrological altimetric datasets from SARAL's AltiKa SIGDR and SGDR. It retracks the altimeter signal near land to remove aliasing. PISTACH (Prototype Innovant de Systèm de Traitement pour les Applications Côtières et l’Hydrologie) is a project that generates coastal and hydrological altimetric datasets from OSTM/Jason-2 IGDR. It retracks the altimeter signal near land to remove aliasing. The United States Department of Agriculture’s Foreign Agricultural Service provides lake and river levels based on satellite altimeters, in conjunction with NASA and University of Maryland. Reference ellipsoid - An idealized ellipse around the Earth used as a proxy for the bottom of the ocean. The typical reference ellipsoid used by altimetric missions is 6378.1363 km equatorial radius and 1/298.257 flattening coefficient. MSS - Mean Sea Surface - The height of the ocean after averaging many years of sea surface heights to remove seasonal, semi-annual and annual signals. SSH - Sea Surface Height - Sea surface height is the height of the ocean above a given idealized ellipsoid around the Earth, known as the reference ellipsoid. SSH typically comes from a single instrument or a family of similar instruments such as TOPEX/Poseidon and Jason series. SSHA - Sea Surface Height Anomalies - Sea surface height with geophysical effects and MSS removed. Geophysical effects removed are from tides, inverse barometer and high frequency wind response. SL - Sea Level - Similar to SSH, but typically a blend of multiple instruments, such as tide gauges and satellites. Geoid - Earth's gravitational equipotential surface, similar to mean sea surface. Dynamic topography - Sea surface height with respect to the geoid.